What do Volgograd and the World Cup have in common? Football is all about perseverance, hard work in order to achieve the goals, constant self-improvement, and faith. And, surprisingly, Volgograd is also all about these things. In our full and updated guide, local people from Volgograd cast light on the history and daily life of the city. And tell all the World Cup nuances, of course. Volgograd lies along the west bank of the Volga River (after which the city was named) in Southern Russia. Nowadays it is a peaceful administrative center of Volgograd Oblast with a population of 1 million people and an important industrial hub. What is more, this city is an enormous victory monument you won’t ever forget. Do you want to know, why? Volgograd used to be called Stalingrad. It was the scene of one of the most important and bloodiest battles of the Second World War and became famous for its resistance during the beginning of the Battle of Stalingrad. In 1961, the government’s administration changed the name of the city to Volgograd as a part of the de-Stalinization program following Stalin’s death (in order to reduce the ‘cult of personality’). But despite this, the city remained the symbol of the successful effort of Russian people, of their courage and bravery. 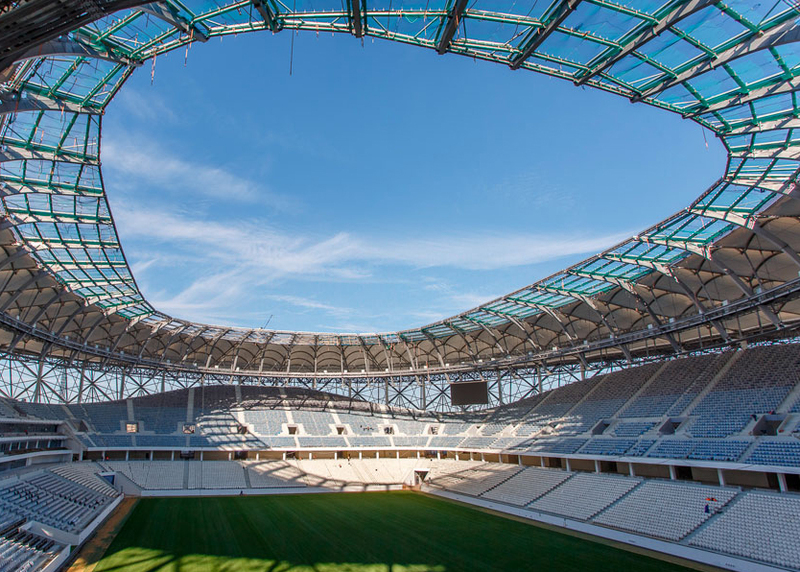 This summer, the city of Volgograd is going to host 4 group phase matches at the city’s main brand-new stadium – Volgograd Arena with the capacity of 45,500 people. 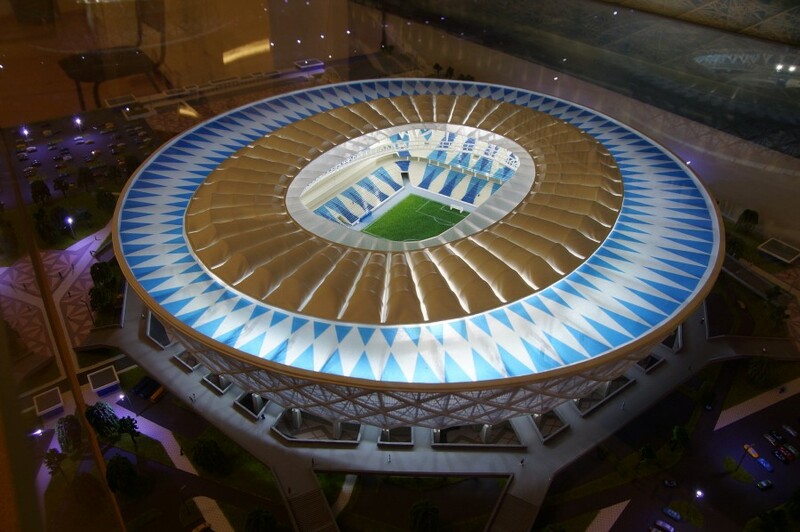 It was built with the purpose of serving as one of the playing venues of the 2018 World Cup and after the championship will host FC Rotor Volgograd, which in the past finished in the top three in the Russian championship. The Arena is equipped with lifts, ramps, and turnstiles for spectators with limited mobility. A separate sector of the stadium is specially made accessible for people with disabilities. Volgograd Arena is located at the foot of the Mamayev Kurgan memorial complex, near the Volga River – just north of central Volgograd at roughly 4 kilometers of the city’s main square, the Square of Fallen Fighters, and the main railway station. The stadium can be reached with the Volgograd trams which run from the center northeast along the river Volga. The tram can be boarded at various stops in the center, and you should get off at the stop called Central Stadium. During certain high-profile matches, the last stop is Europa Mall from where it’s a 10-minute walk to the stadium. Address: Pr. Lenina (проспект Ленина), 76. Volgograd’s FIFA Fan Fest Zone is located on the banks of the Volga River, around the Central Stair along the 62nd Army Embankment. The region is named after the regiment that defended the city during WWII and hosts a number of public events. Ticket sales started on 18 April, hurry up to buy them as matches start very soon! Private individuals can buy tickets at the FIFA website. For companies and organizations, FIFA offers hospitality packages. Volgograd doesn’t have such a good transport connection as other cities about which we have already written. Volgograd International Airport (also called Gumrak Airport) serves the city but (despite its loud name) it handles mostly domestic routes, with Moscow and Saint Petersburg being the two major destinations. Seasonal international connections are available to Antalya, Heraklion, Thessaloniki, and Gyumri. The airport is located 15 km northwest of the city and it comprises a civilian airport built on top of an older military runway (3300 m), now demolished. 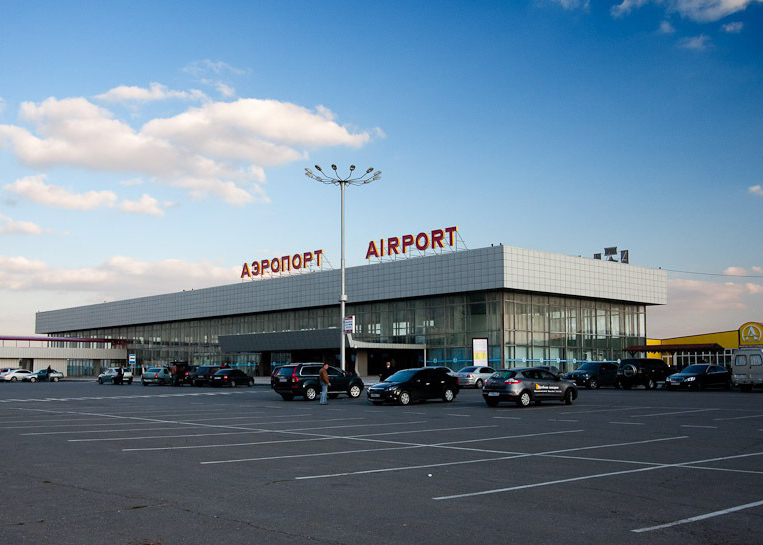 Volgograd airport provides passengers with a range of services necessary to make a trip comfortable: from baggage packing service and hotels to car rental service. The cheapest way to get from the airport to the downtown is to take a bus. For example, the Route No. 6E runs about every 15 minutes and goes directly to the Central railway station. Another option is the Route No. 6K, its final stop is College of Technology. The buses run about every 10 minutes. Marshrutkas depart more often. Their Route No. 6 will take you to Tulak Street. Both busses and marshrutkas are not very friendly with regards to luggage, on most occasions, the driver will ask you to buy a second ticket for your bags. The trip takes about 25 minutes. As for taxi, Gumrak Airport has its own official carrier called Bonjour Taxi. Be ready that it will be overpriced as it is one of the first in the Volgograd market of elite services. Regular fare can only be obtained from mobile apps of major taxi companies (like Uber and Yandex). Another good solution, in this case, is to hire a MeetnGreeter who can arrange you the most comfortable transfer, drive you to destinations or help you to rent a car (we suggest you the last option – in this city, it seems like the best one). 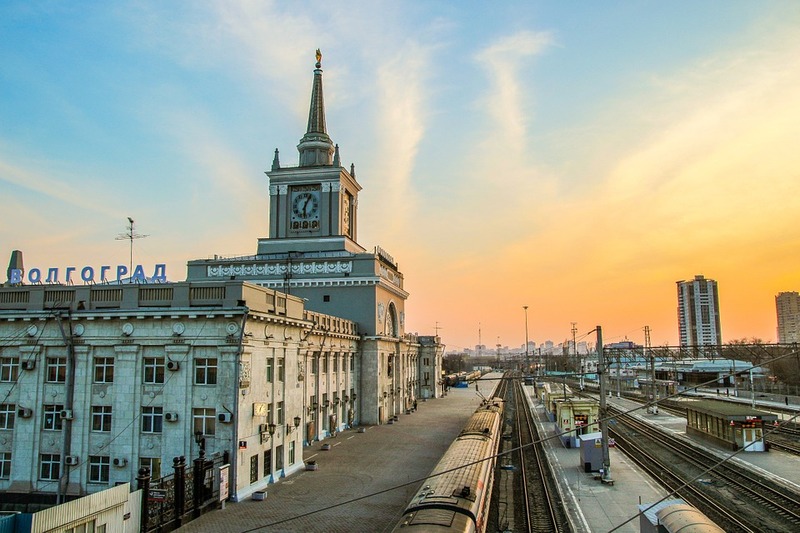 Volgograd is a major railway junction with good connections from Moscow (20 h), Saint Petersburg (34 h) and most other large cities in western Russia. International connections are limited and usually have departures only once a week or require a change. If you still choose this method of transportation, you will find yourself at Volgograd-Glavny (Волгоград-Главный) that serves long-distance trains and suburban trains. As the station is located in the downtown, a huge number of public transport routes either has a final stop here or passes within a walking distance from it. Volgograd’s public transport system includes a light rail service known as the Volgograd metrotram. It consists of 22 stations on one line, paralleling the Volga River from the northern suburbs of Volgograd to its city core for a total length of 17.3 kilometers. 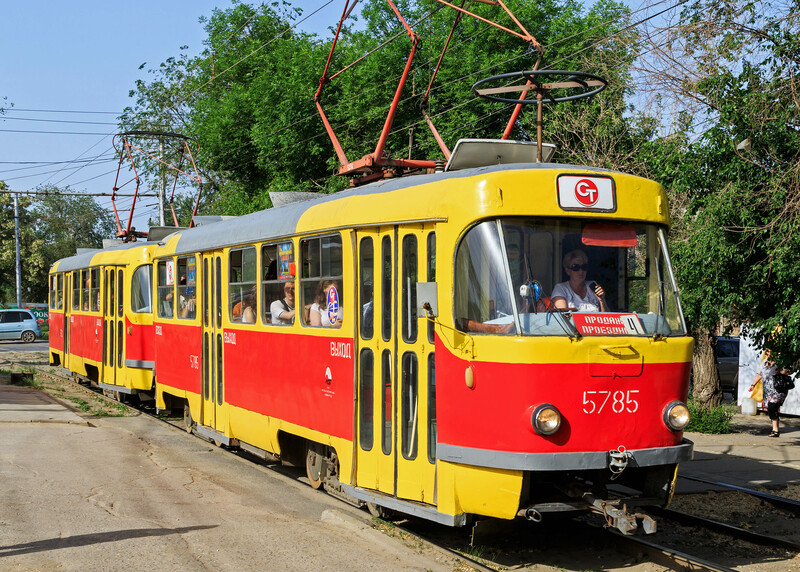 Local public transport is provided by buses, trolleybuses, and trams. The best way to track public transport services on a map in real time, know exactly each vehicle’s time of arrival, plan your journey by public transport or on foot is to use a free Yandex.Transport App. Alternatively, route maps are posted on many bus stops; just show up to the bus stop, determine the bus number, and wait. Be prepared that buses are often very crowded and very hot as well but are inexpensive (on match days they will be free for all those with tickets). At other time, tickets can be obtained from a cashier inside the bus or directly from a driver of marshrutka. Moreover, there will be three additional shuttle bus routes during the World Cup (S1, S2, S3) between the stadium, fan zone, railway station, and the airport. Note that you can get full information on public transport from local people in Volgograd. And if you request ‘planning a trip’ service, you cannot even think about it, as MeetnGreetMe assistants will carefully plan everything beforehand for you. 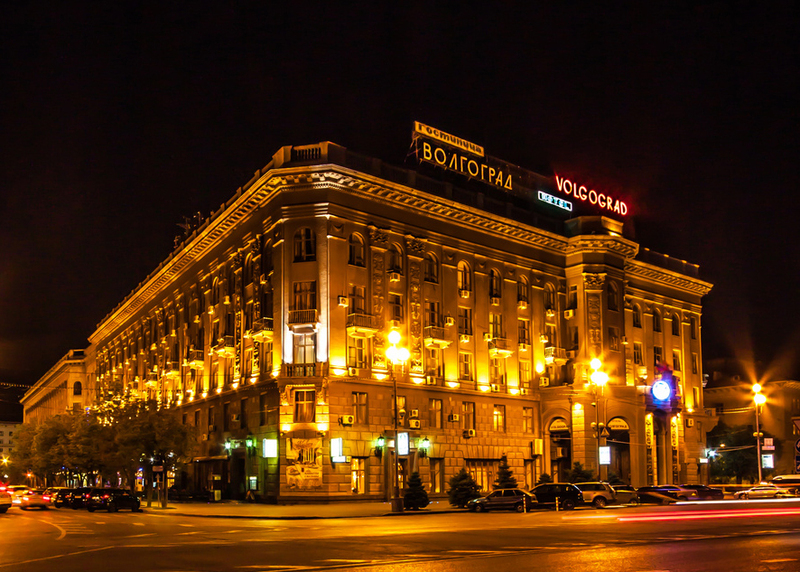 Hotel Volgograd. This is the best luxury hotel within the city that is always on high demand: it is located right in the downtown, has a 24-hour service, offers dishes of Russian and European cuisine and suggests unique interior. It has been famous for its hospitality traditions since 1890. Address: Mira Street (ул. Мира), 12. Hilton Garden Inn. If you truly want to immerse into the atmosphere of the Football World Cup – this is the place to stay as it is located 1 kilometer from the Volgograd Arena and the Volgograd-Baku Friendship Park. Address: V.I. Lenin Street (ул. В.И. Ленина), 56а. The Scotch Hostel. It is the first and only design hostel in Volgograd. The owners of this place say that they came to a word ‘scotch’ not by chance – the idea is that after you visit this place at least once, you will ‘stick to it’. It is a nice place to stay if you want to make your trip as budget as possible (with no harm to quality and coziness). Address: Donetskaya Street (ул. Донецкая), 14. Boutique-Hotel Rest House. Nice and comfortable place suitable for families with children. The hotel has 10 rooms, which allows the administration to pay attention to each guest. Address: Zhukova pr. (проспект Жукова), 41. And in case all the best deals are already booked for the World Cup period or you just need more options customized to your tastes, just drop local people the request and enjoy a carefree journey. We suppose it is wise not only to attend the FIFA sports events but also to discover Russian culture and traditions. Happily, MeetnGreeters know how to combine everything in one trip and make the most of it. Visit Mamayev Kurgan – the biggest monument that has ever been built in memory of WWII soldiers. There are 200 steps up to the top of it – the same as the number of days that the Battle of Stalingrad lasted. Pay special attention to the statue named ‘The Motherland Calls’ – this is one of the tallest statues in the world. Those architects who worked to construct this immense monument wanted to show people how enormous the significance of the Battle of Stalingrad is to Russia. Touch history near Pavlov’s House. At first glance, it seems like a building. However, you have to know that during WWII, it became the symbol of the courage – from this particular building 25 Russian soldiers managed to hold off the Germans for 60 days. A tremendous memorial wall is located here, reminding you about the consequences of the war. View the night sky and learn about stars, planets and outer space in Volgograd Planetarium. In the astronomical observatory, daily observations of the Sun and evening observations of the Moon, planets, and stars are conducted. Isn’t it the best place for a date? Visit the Museum of Weights and Scales. Just because you didn’t know such museums exist. Today, among the items of the collection there are pharmaceutical scales of the first half of the 20th century, highly precise jewelry scales in a wooden case, and scales for newborns, as well as old promotional postcards, blueprints and manuals – not just from Russia, but also from America, European and Asian countries. Be impressed by the Solo Actor Theatre, that has a worldwide recognition. The one actor of Volgograd’s Solo Actor Theatre is Zinaida Gurova, a Merited Artist of Russia, who is the producer, director and artistic decision-maker on this project. Gurova writes her own scripts, designs the stage art, directs and plays all the parts herself. Walk along Volgodonskaya Street (ул. Волгодонская) – a little island of Volgograd’s Old town аnd a cultural heritage site that dates back to the late 18th century. For the rustic experience, head directly to Central Department Store. 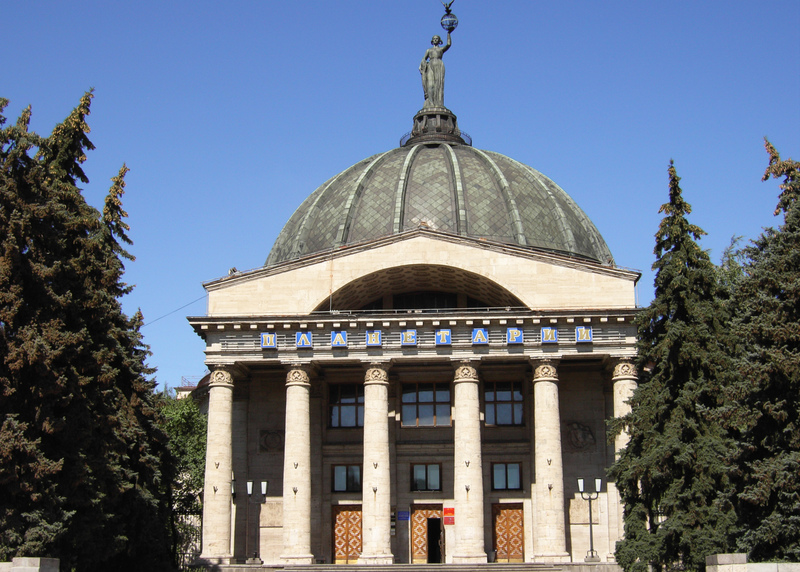 Its building is one of the symbols of the city and of the victorious Battle of Stalingrad. Moreover, it is officially on record as a federal historical landmark and regional architectural landmark. The main premises inside the building are in the custody of the Volgograd Museum of Regional Studies. For dinner – Trattoria Rimini (for tasty Italian courses), Bamberg (for homemade beer and German cuisine), Knyagininskiy Dvor (for Russian dishes). Yes, a plenty of great options! Is it high time to order a ‘gastronomic tour’ service? Make up your mind, locals left all the coolest places for this purpose. Voroshilovsky Shopping Center (ТЦ Ворошиловский). It seems to be one of the most popular multifunctional places in the city – you can not only shop here but also watch a movie, try national or European dishes, play billiards and take kids to the special amusement centers. 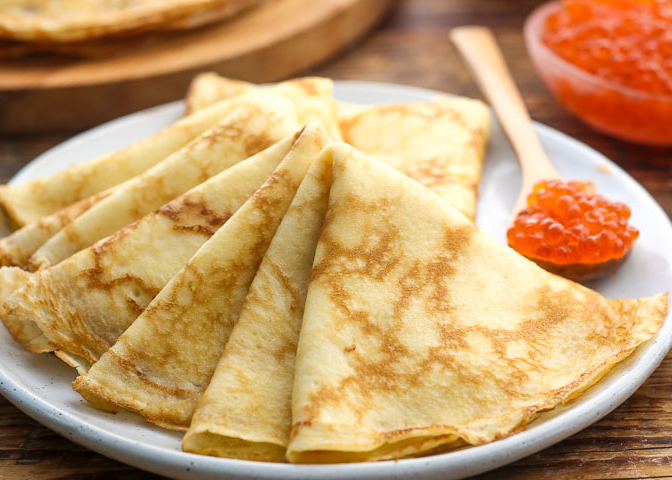 Komsomall (Комсомолл). More than 200 shops are located here, among them are Sportmaster, H&M, New Yorker, LC Waikiki, Snow Queen, Adidas, Reebok, Levis, Collins, Concept Club, Pandora, Carlo Pazolini, Ecco, and others. Kids will be impressed by an aquarium and a shooting gallery. 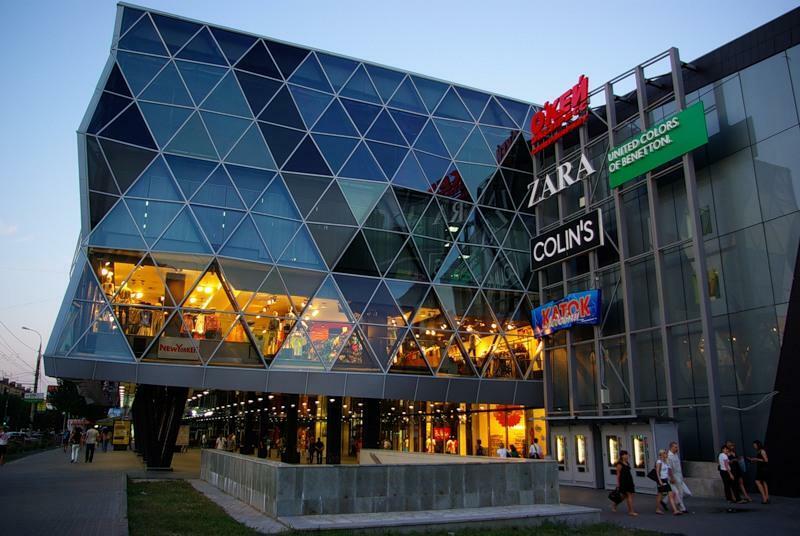 Europa City Mall (Европа) – family entertainment and shopping center, one of the first to appear in the city. It is located in the very center of Volgograd, so it is always convenient to reach it, either by car or by public transport. This is a suitable place for daily shopping, meeting with friends and spending time with family. What to do if you have already visited all the points of interest in Volgograd, and you want to know more about the history of this region and have the most authentic experience ever? Keep calm, we have some ideas of interesting city getaways! Old Sarepta Museum & Reserve. What is now known as the Krasnoarmeysk district was once the German colony of Sarepta. It is a fascinating historical and cultural sight of Volgograd established in 1989 and based on the surviving historic Sarepta settlement founded in 1765. The museums – one is a historic pharmacy, the other is telling the history and lifestyle of the colony – are interesting but a tour will be quite useful, so we recommend you to hire a local MeetnGreeter for this purpose. To get there, take marshrutka 15a, 91a, 93a, 93c, 93 or 55a from Lenina avenue (проспект Ленина) and ask the driver to stop at Vinogradnaya (Виноградная) stop. 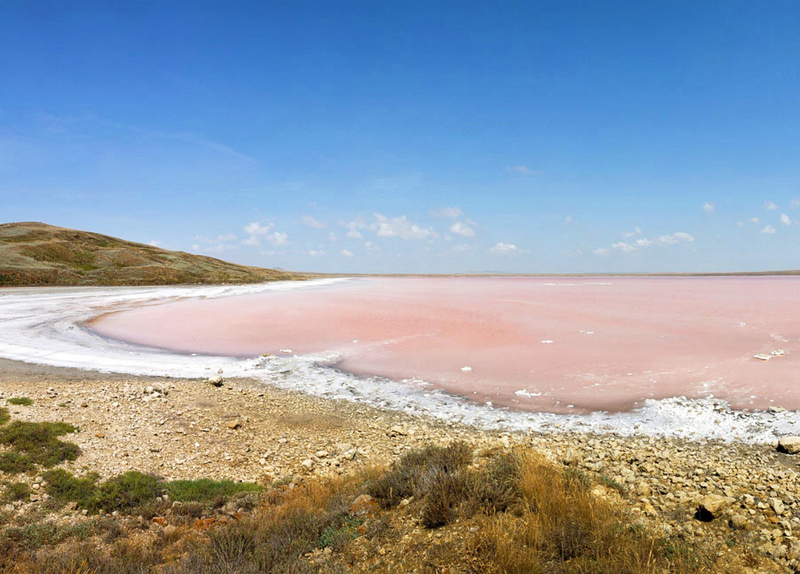 One more option is Elton (Эльтон) – a salt lake located in Volgograd Oblast. It received its name thanks to the golden-pink color of the unique salt found in its water. Since 1910, on the lake, there is a mud and balneological resort and in 1945 Elton health resort opened. A lot of people come here to relax and become healthier. Famous muds of Elton, the only mud in the world with such a unique composition and medicinal properties, surpass the mud of the Dead Sea. The journey from Volgograd to Elton will take several hours (it is better to rent a car and not to take marshrutkas due to the long stops in transit), but it’s worth it! Feel free to ask locals about the reservations and transfers. Planning a trip – why? Because reviews can be irritating to get through, information on transportation can be outdated or wrong, and it can be a full-time job just to keep an eye on all different offers and deals available online. Meeting upon arrival – just to make sure everything goes smoothly and you arrive at your accommodation safe and sound (and feel welcome in the foreign country, which is also very important). Providing 24h information support – it is like an English speaking guide in your pocket ready to explain and help you during the day. Booking/buying tickets to events – yes, your probable visit to Solo Actor Theatre becomes even easier and pleasant. 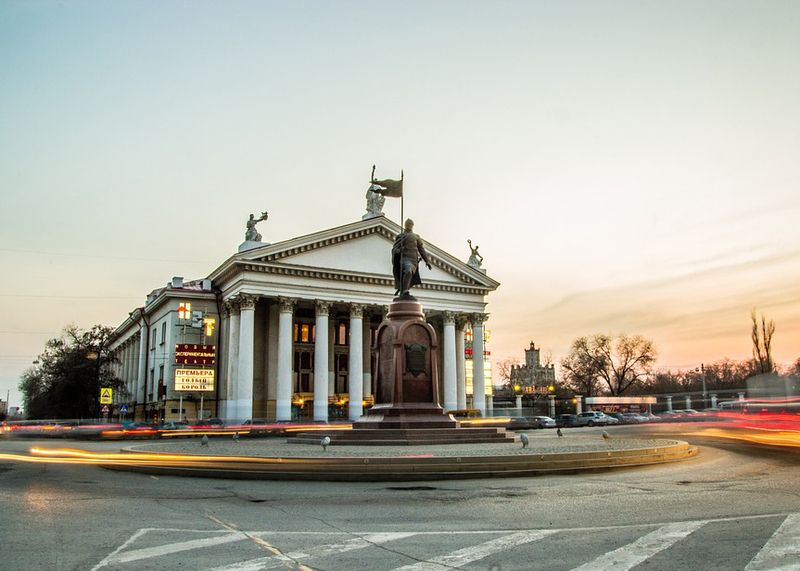 MeetnGreetMe team wishes you a nice stay in Volgograd!